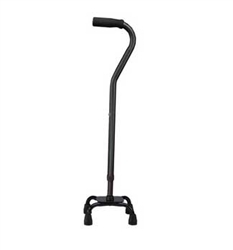 The Carex Small Base Designer Quad Cane in Black is a stylish offset quad cane that is fully adjustable and offers added stability over standard canes. 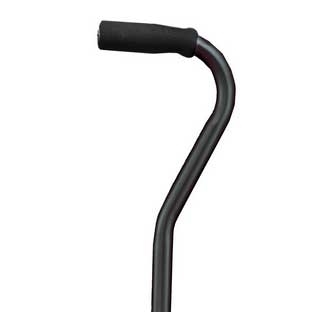 The comfortable Carex Small Base Quad Cane features a cushioned handle that reduces pressure on the wrist and is adaptable for both left and right hand users.It is ideal for people who are independent enough to utilize a one-hand walking aid but still prefer the stability of four contact points to the floor or ground. It is height adjustable and has a small base for increased maneuverability.